HR Outsourcing (HRO) is a complex process that requires careful consideration. Many organisations have made damaging, costly mistakes by having unrealistic expectations or simply accepting outsourcing as a simple ‘quick fix’ cost cutting activity. They adopt a ‘one size fits all’ approach, without addressing their specific business requirements and the opportunities available. How do you know if outsourcing some or all of your HR function will deliver better services that are cost effective? The answer depends on your HR strategy, your current HR landscape and of course, what HR outsourcing offerings are available to you. What does the HR outsourcing vendor offer you, in terms of price and service? Will their service work for you? Is there a cultural fit? What can you do if things start to go wrong? 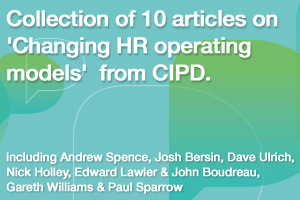 HR Outsourcing must be managed in the wider context of HR transformation. Experience tells us that you cannot outsource problem areas. You also need to have a detailed understanding of ‘where you are now’ before producing a Request for Proposal and communicating with HRO vendors. In the current competitive marketplace it is increasingly important to develop a robust Request for Proposal (RfP) and sourcing strategy. Glass Bead Consulting can help you identify the Benefits of HR Outsourcing for your organisation and also help to manage some of the Challenges of HR Outsourcing. We are experienced in creating and managing large-scale outsourcing contracts across different sectors. What can be outsourced in HR? How do I decide what should be outsourced? HRO Vendor Optimisation – following 'go-live' we help you to optimise the new relationship. Will HR Outsourcing Ride the Third Wave? originally published in HRO Today.